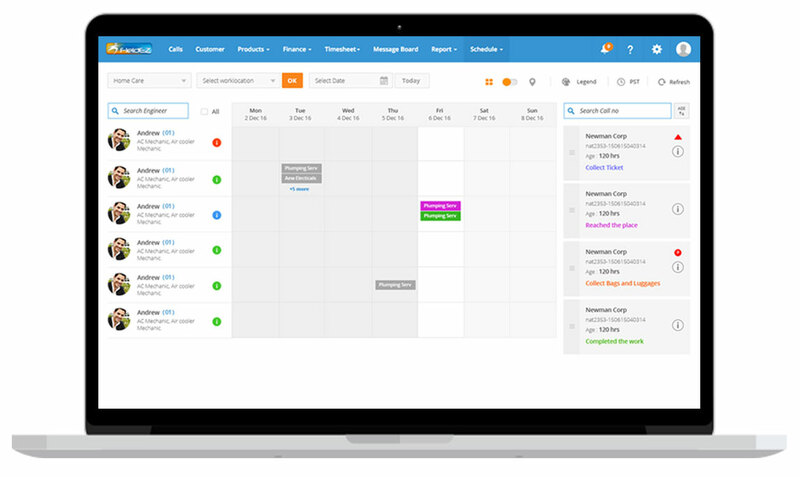 FieldEZ offers the best scheduler software in the industry with automatic scheduling functionalities. Schedule tickets to your employees based on multiple criterions or allow FieldEZ’s service scheduling software to automatically recommend the best available field-staff employee service various tickets. FieldEZ’s scheduling software allows field-staff managers to easily assign new jobs by offering information like the best service rates, skills, availability, rank, preferred shifts etc. and hence improving a field-staff manager’s efficiency. Simply select the unscheduled job and let FieldEZ work its magic by finding out the best technician for the job.